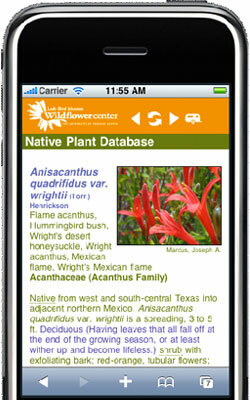 Title: When is best time to plant seeds of Texas Nightshade in San Antonio, TX? I need to know the time to plant seeds of Texas Nightshade. Can I plant them now ( August ), or wait till fall or spring? The Texas Nightshade Solanum triquetrum (Texas nightshade) is Texas native in the family Solanaceae. From its profile page, we see that it is a perennial and can flower in each month of the year. So it would seem that there are seeds in the environment year round. The plant is similar to the Silverleaf Nightshade Solanum elaeagnifolium (Silverleaf nightshade). This link from Dave’s Garden suggests that the seeds should be planted in the Spring after the last frost. I think that I would follow this advice. Here is a link to an informative article by Jim Conrod that appeared in the December 15, 2013, Newsletter from the Frio Canyon Nature Education Center. Note the reference to possible toxicity. May 29, 2015 - Bluebonnet plants drop their seeds in late May or early June. Why is it recommended to broadcast Bluebonnet seeds in October which is 5 months after the plant drops its seeds? November 08, 2013 - Can I find out which seeds need to be scarified?